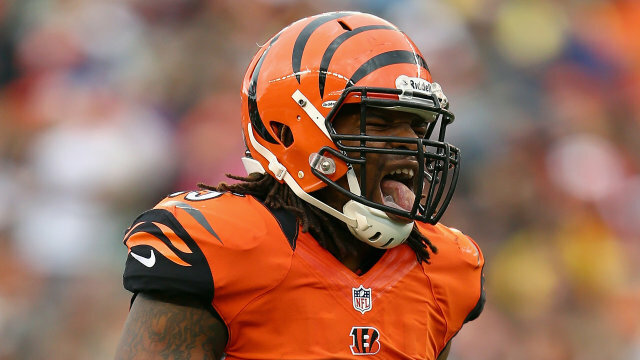 The Oakland Raiders have signed free agent LB Vontaze Burfict, the club announced Tuesday. Burfict, a 6-foot-1, 255-pound linebacker and 2013 Pro Bowler, joins the Raiders after spending his first seven seasons (2012-18) with the Cincinnati Bengals. Originally an undrafted free agent signee by the club in 2012, Burfict has appeared in 75 contests and made 73 starts, totaling 604 tackles (396 solo), five interceptions, 28 passes defensed, 8.5 sacks, four forced fumbles and five fumble recoveries. In postseason action, Burfict has started in each of his three appearances, totaling 19 stops (11), one interception, one pass defensed, 1.5 sacks and one forced fumble. Last season, Burfict started in all seven appearances and compiled 33 tackles (16) and three passes defensed. He finished top-5 on the team in tackles in each of the previous three campaigns. Since entering the league in 2012, the former Arizona State standout has compiled three 100-plus tackle seasons, including a franchise-record and NFL-best 171 stops in 2013 en route to his first Pro Bowl honor and second-team All-Pro recognition by the Associated Press. His 171 tackles that year stand as the highest single-season total by a defender since 2010.